It is a well-known fact that capital cities in most countries are more likely to have more football teams representing it than other metropolitans, and Montevideo, the capital of Uruguay is the perfect representation of that. But what’s odd about Montevideo is that it has almost all the teams that play in Uruguay’s top division and that they are the country’s most prominent footballing cities and one of South America’s most respected. Surrounded by the prowess of football’s giants, Brazil and Argentina, Uruguay, despite having a relatively low population of just under three-and-a-half million people are a phenomenal footballing country and Montevideo has played a pivotal role in its success. With two World Cup honours, including the victory in the first edition in 1930 and bizarrely at the Maracanã in 1950, Montevideo contributed a large part of the national team and continues to develop stars, even if they aren’t raised in the grandeur of the esteemed city. Two of the country’s finest forwards since the turn of the millennium, Álvaro Recoba and Diego Forlán were both born and raised in the capital and both found their way in international football. Recoba strived in the city, earning his name with local side Danubio and rivals Nacional before going on to star in Italy with Milan giants Internazionale. He was an idol to many and a poster boy to the city’s footballing culture, despite many believing he never managed to fulfil his true potential. Diego Forlán left Uruguay at an early age after he was signed up by Independiente in nearby Argentina. Nearly a hundred appearances later, he found himself at Old Trafford with English giants Manchester United. After a bit part role, he starred with the likes of Villarreal and Atlético Madrid in Spain and also won the Golden Ball for being the best player at the FIFA World Cup in 2010 as well as winning the 2011 Copa America in Argentina. He’s still going strong, this time in India with Mumbai City FC which runs from October to December every year. Montevideo has also contributed to the development of two of the world’s deadliest forwards in the world right now. 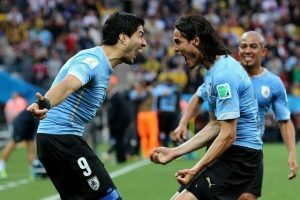 Despite being born and raised about 424 kilometres away in Salto, both Luis Suárez and Edinson Cavani found their feet in Montevideo – Suárez with Nacional, and Cavani with Danubio. Just like any other top South American city with an immense sporting heritage, Montevideo plays host to one of the continent’s most fierce and celebrated rivalries. The 16-team league has 12 of its teams gracing from the city, but the two most iconic are Club Atlético Peñarol and Club Nacional de Football who take part in football’s oldest rivalry that isn’t hosted in the United Kingdom. The aforementioned star names have all left their mark in this fixture and they are joined by so many others as this rivalry goes way back. Nacional fans still claim to this day that they are the oldest club in the city, citing that Central Uruguay Railway Cricket Club and Peñarol are two different sides and even played each other in the early 1910s making it impossible for them to be considered as the same side. FIFA, however, see CURCC as the club that gave birth to Peñarol and only identify them as the predecessors before their name change in 1914. 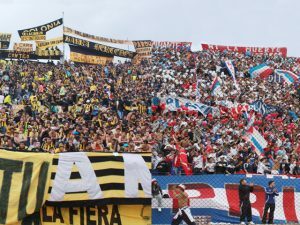 Despite not getting the same attention or recognition like other South American rivalries such as the Buenos Aires Superclásico between River Plate and Boca Juniors or the Chilean rivalry between Colo Colo and Universidad de Chile, the Montevideo derby is equally as great and is often regarded as the finest South America has to offer. They’ve got the same tifos, ultras, fireworks and passion as the rest of the continent and make sure the rest of the world know what it’s like to be a fan of either one of the clubs. Despite the obvious hooliganism that occurs before the derby, the world holds the two fan groups in high respect. 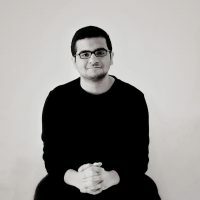 But the city’s ten other football clubs also aim to topple the two off their perch and form a dynasty of their own, even if it is for a short period. Danubio, are often called the city’s third team and are mainly feeders for the big two. They are one of only two sides, along with Defensor Sporting, to win the Uruguayan Primera División other than Peñarol and Nacional since 1991, with their last title coming in 2014. Defensor Sporting, also from Montevideo are on the same boat as Danubio with four league titles, winning their last in 2008. 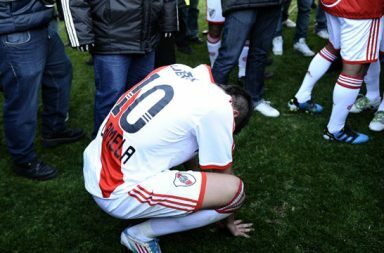 Montevideo Wanderers and Uruguay’s own River Plate FC are the other successful teams in the city but their last league successes came eternities ago, in 1931 and 1914 respectively. And the city’s football culture doesn’t just live in their teams, it’s the people, players, managers and the venues. The historical Estadio Centenario lies amongst the glory of the city’s skies and even hosted the first ever FIFA World Cup Final in 1930. And a star on the sacred grounds of the city was Argentinean hitman Atilio García, who, between 1938 and 1951 smashed 208 goals in 210 games for Nacional, becoming the league’s greatest ever goal scorer. That was until local legend Fernando Morena came along and racked up 230 goals in 244 games in three different stints with Peñarol to become the country’s greatest ever domestic goal getter. If you’re looking for football cities with a load of history, culture, heritage and a rivalry that goes all the way back in history, Montevideo is the place to be. The perfect example of a city that loves its football, it is right up there in terms of quality and passion and even tops their neighbours Brazil and Argentina.